Looking for a weekend activity for the kids? There’s nothing like getting engrossed in a good DIY project. So stop Pinterest-ing, because Vinnies has the solution for you! 1. Become Besties with a Flower Pot Buddy. This little eco-friendly buddy makes a perfect companion for your garden or kitchen window sill. First step: head to your local Vinnies and pick up some clothing in your favourite patterns. Bonus points if you find anything with buttons! Next visit your local garden store to pick up some cheap terracotta pots - one large-sized (for the body), one medium-sized (for the head), and four small-sized (for the hands and feet)! Cut four pieces of string, and collect your four smallest sized pots. Take one piece of string per pot, and thread it through the draining hole on the bottom of the pot. 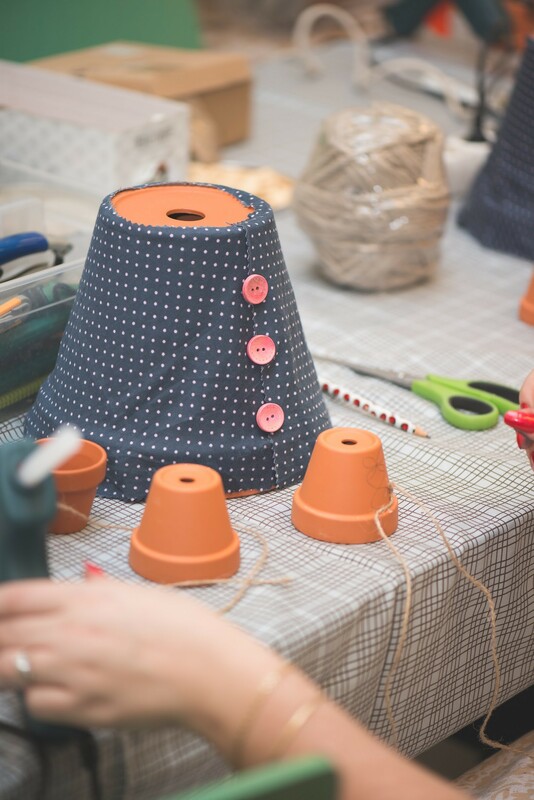 Tie a large knot on the inside of the pot to stop the string coming through the hole. Take two of your stringed pots, and hot glue the string to the inside of your largest pot (the body) to form legs! Take the remaining two stringed pots and hot glue the string to the top of the largest pot to form arms. Finally, take your medium-sized pot and decorate it with paint pens to give your flower pot buddy a face. For an extra-special touch, you could plant a succulent or small herb to make ‘hair’! Then hot glue the bottom of your medium-sized pot and secure it to the top of your upside down large pot. 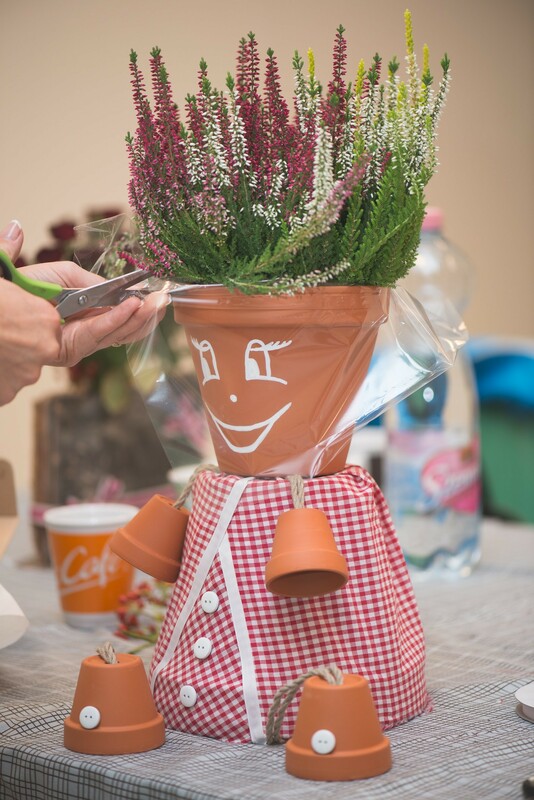 There you have an adorable flower pot buddy to brighten any day! 2. 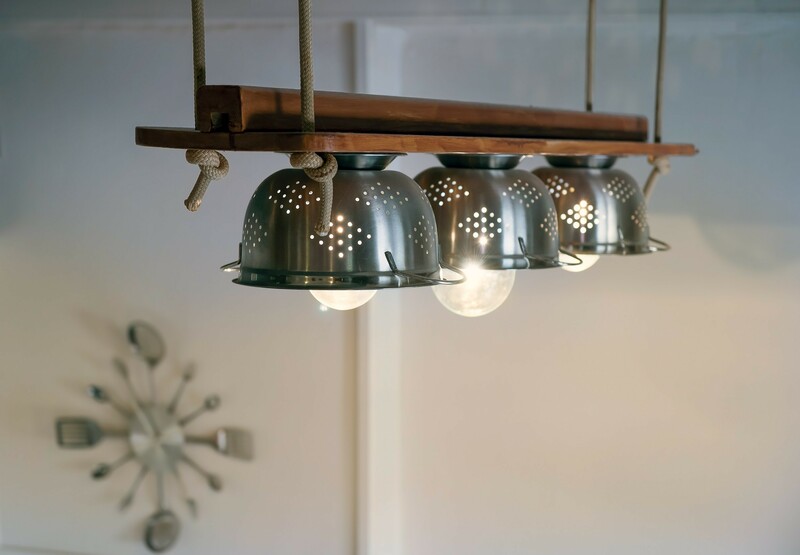 Repurpose Kitchenware into Lights! Nothing says hipster like these amazingly unique kitchen lights made from kitchenware found at Vinnies. To make your own, you’ll need any kind of perforated kitchenware (graters, colanders, steaming pots, etc) from your local Vinnies. 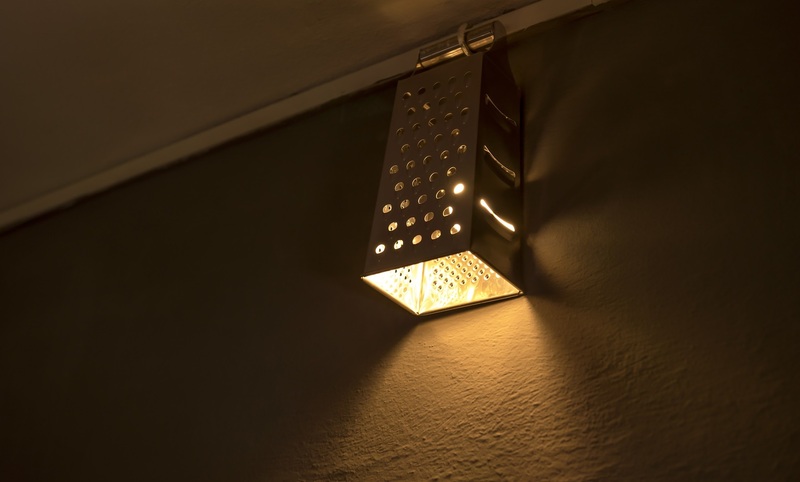 If you’re handy with electricals, go ahead and install a light fighting within the kitchen item. For those looking for an easy fix which yields just as good results, pick up some ‘stick on lights’ from your local supermarket or hardware store; it doesn’t get easier than this! Peel off the adhesive packing, stick it within your kitchen items, and switch them on for a wonderful dappling of light! 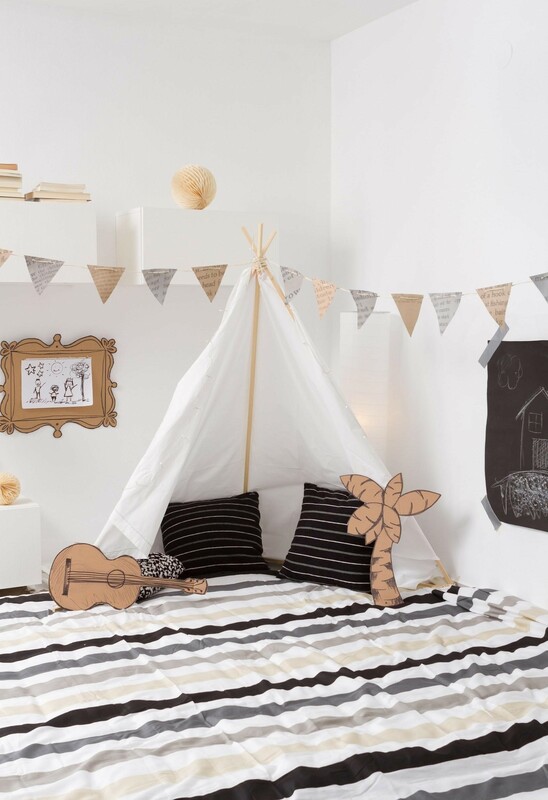 There’s nothing like the feeling of building a den made of pillows, blankets, and cosy toys. This can be the perfect way to spend an afternoon with your kids, or even just for a movie night with friends! This is where you can get really creative and hunt through your local Vinnies shop to find your favourite items. We love the idea of some second-hand bedding and comfy pillows. Or this adorable bunting made from pages of an antique book! Have some fun with the space and furnish it with toys you know your kids will love - even if they’re made from cardboard!